This year at Baselworld Casio debuted another iteration of their popular Full Metal 5000 timepiece, with a new vintage style black finish. 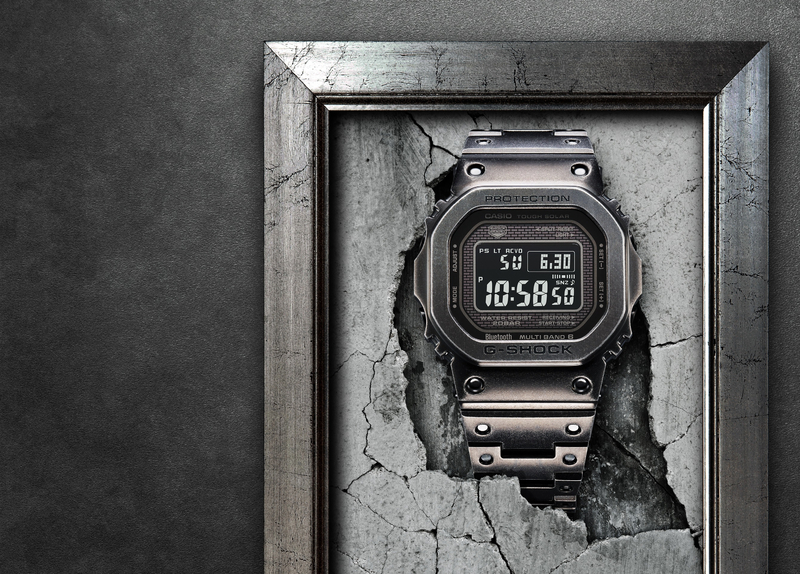 Like previous versions of the Full Metal G-Shock, which we covered here, and reviewed here, the Full Metal 5000 Black Aged IP comes in a stainless steel case measuring 43.2 mm x 43.2 mm, and is based on the iconic DW5000 from 1983. In fact, everything is the same as before except the white-on-black LED screen, which was first utilized on these Full Metal G-Shocks, and the new case black aged ion-plated finish.